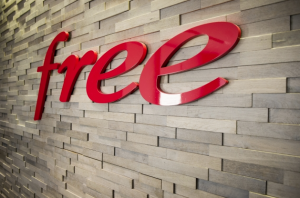 French service provider Iliad Telecom/Free has unveiled its long-awaited next-generation box, the Freebox Delta, alongside a lower-cost device, the Freebox One. Freebox Delta will be available to Free subscribers for a premium price of €49.99 a month, while Freebox One will be available for €29.99 for the first year for the first 100,000 subscribers. Freebox Delta will provide access to Netflix as part of the subscription – a first for Free, which has resisted integration with Netflix to date. The Freebox Delta subscription will include Netflix’s basic offering, and existing Netflix customers can transfer their subscription to Free while retaining their profile. The box will also support 4K UHD HDR video, with over 100 movies to be made available in the format to subscribers. The triangular shaped Freebox Delta will also provide access to Canal+’s offering for service provider partners, TV by Canal, and will provide the possibility of buying electronic copies of movies. In total, Free says that Delta will provide access to 50,000 hours of content, with navigation focused on content rather than channels, on the model of Sky Q. The box offer will also include access to LeKiosk, providing 1,000 press titles, and a music player from technology partner Devialet. The latter – which has also been integrated by Sky in the UK – will be provided as an option, for an additional €10 on top of the monthly subscription for the box. Other features include Amazon’s Alexa voice assistant integrated, which can be activated by saying “Alexa” or “OK Freebox”. Free is also offering various smart home features, including a security pack with WiFi camera and motion detectors. The box includes 1TB of storage, which can be enhanced up to 20TB. Free is providing two remote controls for the first 70,000 customers – a smartphone-like touchscreen remote and a more traditional soft-touch remote, both designed by Jasper Morrison and both rechargeable wirelessly by placing them on the box. The ‘official’ remote will be decided after a trial period. The Freebox Delta will deliver high-speed broadband services of up to 10Gbps, with Free currently offering 400Mbps broadband over fibre in areas where this is available. For ADSL subscribers, Freebox Delta can offer combined internet access via DSL and 4G mobile technology in what Free boss Xavier Niel described as “a revolution” for those not able to sign up for fibre-based broadband. The cheaper alternative , the Freebox One, will be available for €29.99 for the first year and €39.99 thereafter for the first 100,000 subscribers. Freebox One also includes many of the features of Freebox Delta, including access to Netflix inclusive. The delayed launch of the Freebox Delta has been much anticipated in France, where Free has struggled of late to arrest a decline in subscribers and fixed and mobile revenues. The operator had 6.459 million fixed customers in France at the end of September, down from 6.495 million a year earlier.